You may have recently seen that I am going to be a part of two events this month. Whoa! I can't wait to attend the events and the first one is coming up on Saturday, January 18 from 10 a.m. - 12 p.m. 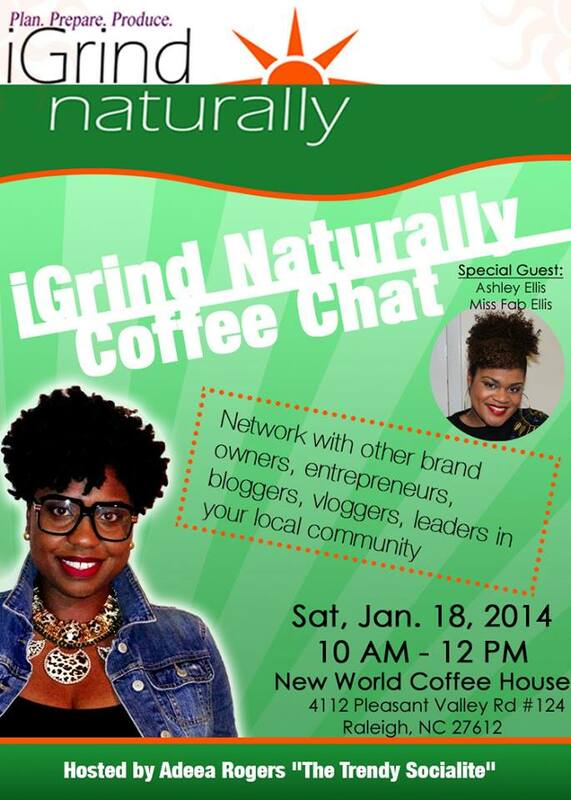 The iGrind Coffee Chat is being hosted by the creator of the National Natural Hair Meetup Day, Adeea Rogers. If you are an aspiring, emerging or experienced blogger, vlogger, entrepreneur or leader, this event is for YOU! It is not limited to those in natural hair community nor to just women. This is a networking opportunity that you will NOT want to miss! Bring something on which to take notes and your questions. Space is limited, so register now! To register, click here.